Equipped with an Asian-influenced Tanto blade shape, this Ka-Bar combat knife is designed for the toughest of tasks. 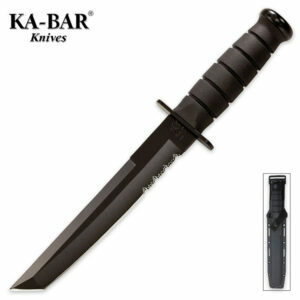 The Tanto blade is made of 1095 Cro-Van steel, with a thick pointed blade that’s great for penetration. 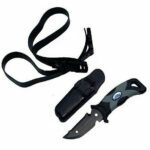 The manmade Kraton G handle, meanwhile, is comfortable in the hand. 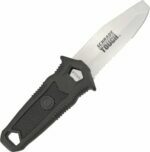 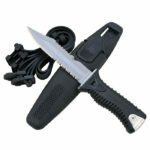 Add in a glass-filled nylon sheath and you have a terrific knife for combat applications.